In this podcast we get the rare opportunity to interview fellow podcasters. 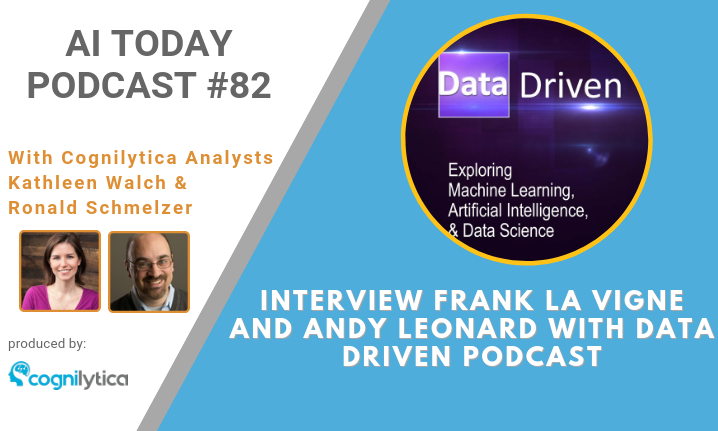 Frank La Vigne and Andy Leonard are co-hosts of the Data Driven podcast and joined us on this episode of the AI Today podcast to discuss the important role data plays in AI, their take on how data will continue to be used into the future and the idea of pervasive knowledge. Make sure to give this podcast a listen!